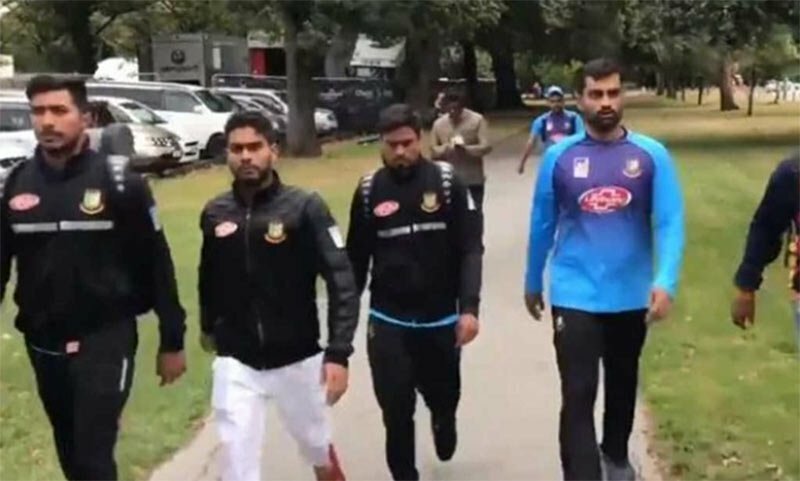 Bangladesh National Cricket team left New Zealand’s Christchurch and was expected to reach home from New Zealand on Saturday night. They left the terror-hit country on a Singapore Airlines flight around 12 noon (local time), following the cancellation of the last and final Test due to the terrorist attacks on two mosques in Christchurch there. The Tigers are expected to arrive at Hazrat Shahjalal International Airport in the capital around 10:45pm (BST), the team management sources have confirmed. According to reports, the Bangladesh cricket team was said to be "extremely lucky" to avoid being caught up in the shootings in the New Zealand city of Christchurch which has killed at least 49 people. The third Test between Bangladesh and New Zealand, set to begin Saturday (today), has now been cancelled after the terror attack.